"Glorified Tinctures" of Lavender far left, Angelica Root(center), Violet Flowers(right)! The lavender underwent one round of gentle cohobation after it was incubated with its salts for several weeks. Here all elements have undergone a certain degree of purification. The body/salt brought to perfection. The Mercury/Sulphur purified by a gentle distillation and then merging back again onto the fixer sulphur. The other 2 (Angelica and Violet) were married with their perfected salts and incubated on a gentle heat at 37-40°C but not further refined by any cohobations. Essentially only the Body Purified in this case and used to transform it into a higher state. These are highly potent tools of consciousness and next to that increase the bio-availability of the compounds, rendering them into even more beneficial forms than already present in the plant. Each resonant to a planetary ruler, lavender under mercury, violets under the moon and angelica the sun. As sunshine sparkles and stains the droplets hanging in the air, to reveal the colors of our souls more clear. This is the successful Marriage Between our Salts and Our Sulfur, being wedded/united in Mercury. The Rose being Reborn as Body and Soul merge in an entirely new configuration to produce the alchemical child! The beautiful plumes rising off from the salt, are evidence of the reactions happening between the alkaline salts and acidic oils/compounds, creating entirely new forms of these substances which are medicinally more potent, with less side-effects and more bio-available. Absolutely magical moment. she will be incubated on a gentle heat around body temperature for a week or two, during this time the reactions slowly continue taking place until a balance is found between acid and alkaline. This is pure magic since we use nothing other than the rose herself to transform her. We extract her individual soul with pure alcohol(mercury) and we then burn her body(crystalized thoughts) to ash, then leach those ashes in distilled water to retrieve the alkaline mineral salts from the rose her dead body. These are the immortal salts that remain when the body has been killed completely. These are the immortal ideas that structure reality. When Soul comes into contact with her purified body, both principles become married to each other and are reincarnated into a new evolved living form. More Photos at the Bottom, Starting with the Clear Tincture and The Ashes still being soaked, then several days after the salts have been added changing from the opaque vivid orange back to a more semi-clear state. Here you can also see a video of the reaction just after the salts have been added, mesmerizing! 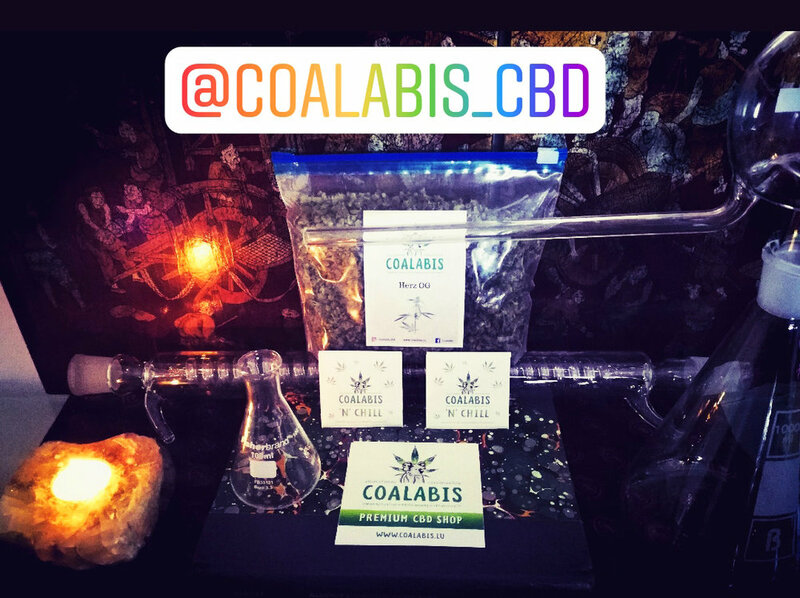 Huge shoutout and thanks to Coalabis for sponsoring us with a Batch of CBD-Rich "Herz OG" Hemp Flowers!! Rated at 0,2%THC and 6%CBD. We will be using this for 2 Projects, which we will be fully documenting so that you can learn how to make it yourself. The First Project is going to be a Spagyric Tincture, Which uses the entire Plant- Maceration in Alcohol and then Burning the Plant Matter to obtain the mineral salts via leaching and evaporation. Then all components are married together. The Salt added back to the tincture and then incubated over a period of time in a warm space so that the acids react with the alkaline salts, producing our finished product and Alchemical child. The Second Project is going to be the same as above except we are going to further process our completed product to remove the alcohol and instead will unite the extract back into an oil (coconut oil) for internal use that is a great alternative if you want to administer it to pets, use it topically, or are simply seeking an alternative to alcohol. Stay Tuned, This Project is Launching Soon. I am waiting for one last piece of glass equipment, which will allow me to do a sped up documentation. 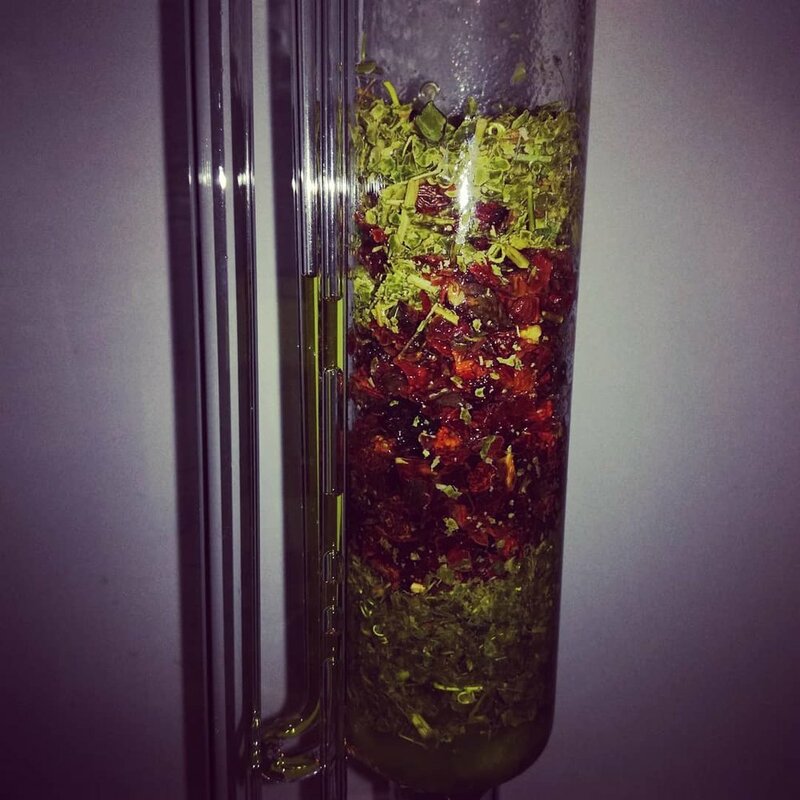 If you choose to follow along to make your own potent Hemp Medicine inspired by Alchemical Principles then consider granting a visit to Coalabis to purchase some Flowers from them for the project! They have a shop both in the North and South of Luxembourg! -A Glass Jar 250-500 ml. -A metal pan to burn your herb in or some other container that is fireproof. Planning on making spagyric tinctures out of them. Will present the crafting as DIY Guide.